– Ambergris Caye: Located on the island of San Pedro, protected by the barrier reef in the Caribbean. From here you can move to Caye Caulker, where water sports. Lighthouse Reef is the most popular among divers, and the Blue Hole is 121 meters deep and is frequented by tourists riskier. – The Cockscomb Basin and Jaguar Reserve: if you like to explore the natural world we invite you to meet either of these places, you’ll see more than 300 species of birds and various animals. 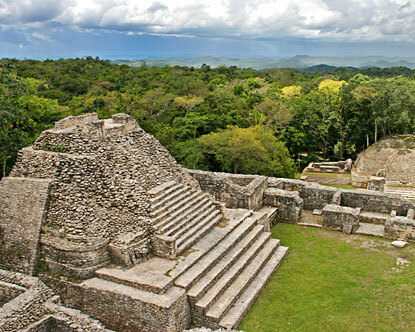 – Altun Ha: first inhabited city in the year 250 BC In these remarkable Mayan ruins is the Temple of the Altars of Work in its top you can see the surrounding jungle.